The MBA Class of 2020, a diverse global group of future business leaders, begins its educational journey at IESE this week. The incoming Class of 2020 has 357 students, among the school’s largest classes to date. With the expansion of the MBA program in recent years, IESE has over 700 full-time MBA students on its Barcelona campus. The new class brings together students from across the globe – a total of 55 nationalities in all, with 84% of students coming from abroad. After Spain, the second-largest group of MBA candidates – 12% – comes from the U.S., followed by Brazil with nearly 8%. There are also many students from India and other parts of Asia, Latin America and across Europe. Women account for 26% of the class. The Class of 2020 is diverse in other ways as well. While many students come from backgrounds in financial services and consulting, 65% have professional experience in other business areas, including retail, medicine, law, marketing and non-profits. The participants have an average of five years of professional experience and commit full-time to the program, which is taught in English, for 19 months. The average age of the Class of 2020 is 29.3 years. 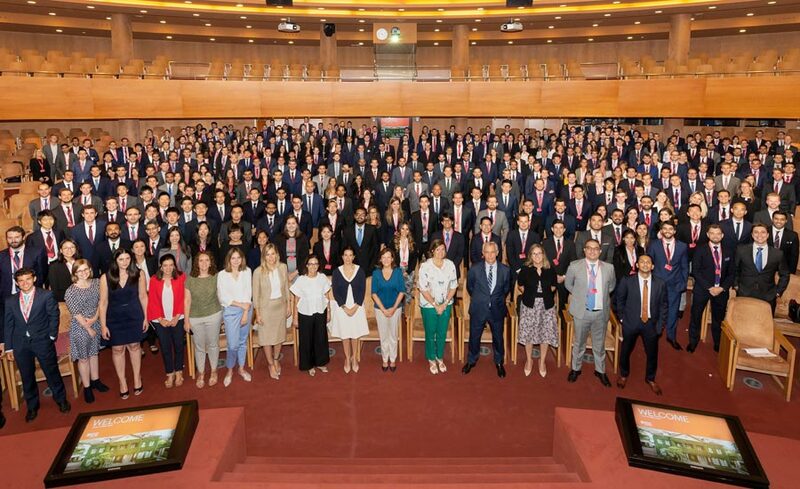 The Class of 2020 starts its MBA as IESE celebrates its 60th anniversary. IESE was founded in 1958, offering executive education programs to business leaders. In 1963, IESE signed an alliance with Harvard Business School and then launched its MBA, becoming Europe’s first two-year MBA program. The school has since expanded to five campuses: Barcelona, Madrid, São Paulo, New York and Munich.